Security of your websites is one of our top priorities. 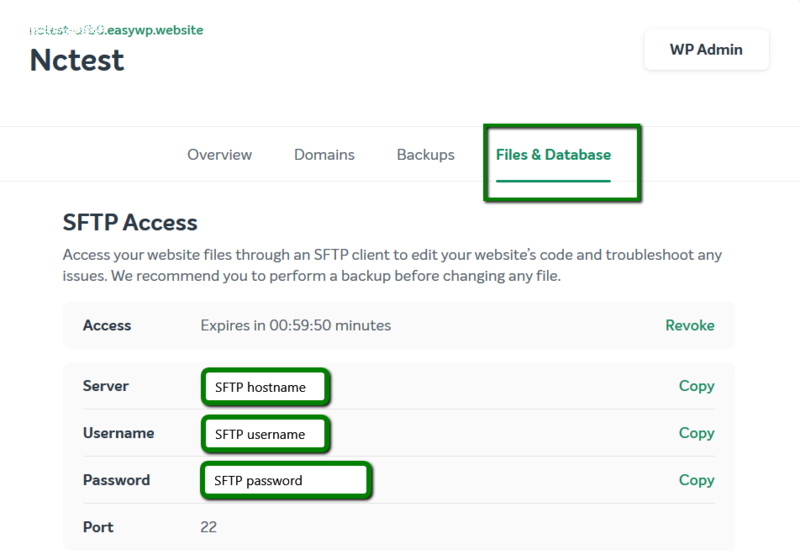 At EasyWP, in order to ensure data transferring over a secure and encrypted connection, we support only SFTP (Secure File Transfer Protocol). To connect over SFTP, you can use the FileZilla FTP client or another one of your choosing. NOTE: Before proceeding with any changes, it's advisable to perform a backup of your website. NOTE: For added security, you can select an expiration for the SFTP account password. 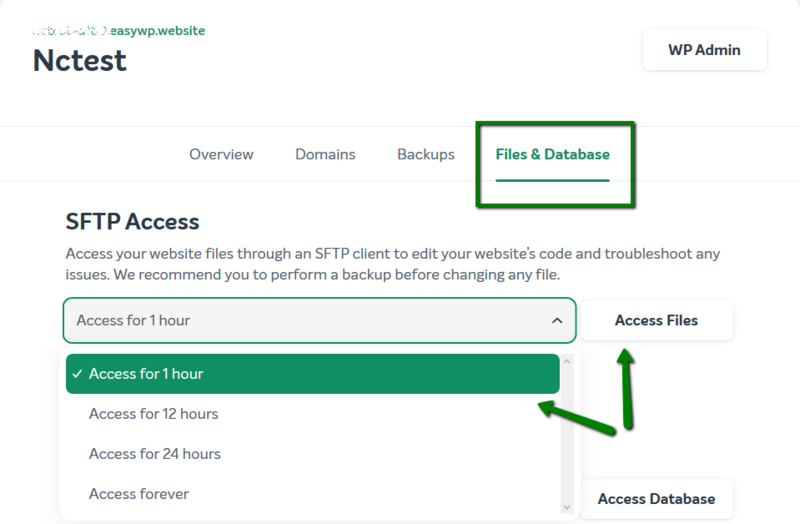 By setting an automatic expiration, you will ensure that your SFTP account remains active only for the time necessary to work on your website. If you need to, you can also revoke a password at any time. Once all the appropriate settings are filled in, click on Connect.